Terrance Brennan to Take Over Stillborn Trigo? Reliable sources say that Terrance Brennan, of Picholine and Artisanal, will take over the kitchen at Trigo, which opened just a month ago in Tribeca. Because the restaurant had an air of doom about it out of the gate (big, conceptually ambiguous, no foot traffic, botched Manu Chau music loop on the website), news that ownership is looking for a serious change isn't shocking. (Marco Canora, in our recent chef roundtable, predicted doom for a restaurant that sounded an awful lot like Trigo.) 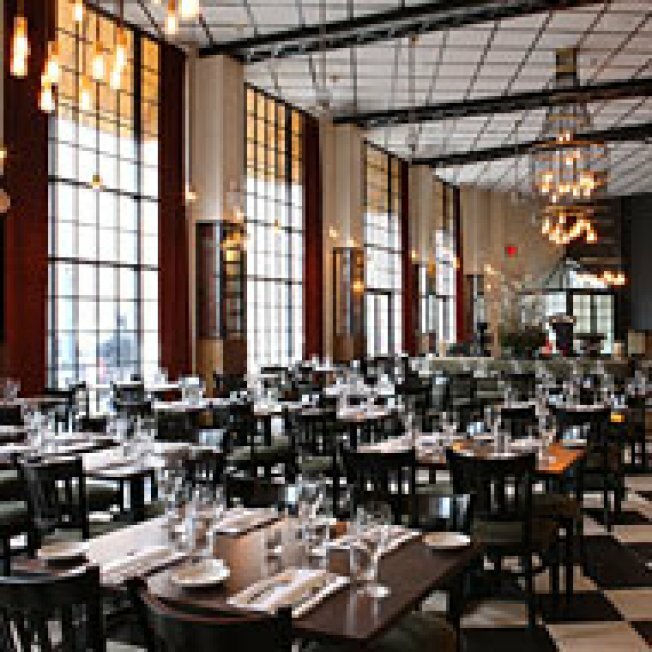 It makes sense, too, because Brennan has long been looking for a space to open a big casual brasserie-type affair before Steve Hanson decided to keep it and turn it into a cash machine/barbecue restaurant, Brennan took a very close look at then Bar 18, now Wildwood, on Park Avenue South. Officially, Brennan's people "don't have any information for [us] at this time," and we're awaiting word back from Team Trigo.